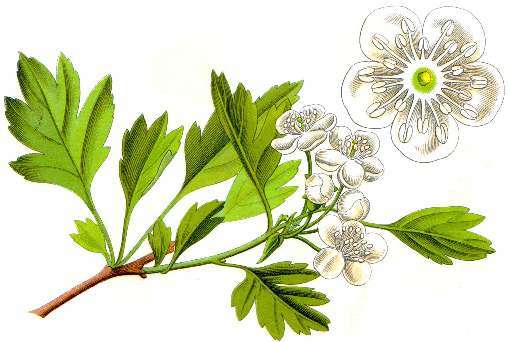 The oldest surviving spellings all suggest that Paythorne is named from a thorn-tree (hawthorn) associated with a Saxon man named Paga. This should have come to be pronounced “Pawthorn”, and documentary records right through to the 19th century prove that that is what happened. The alternative and current name is suggested by the Peathorne found in 1830, if the ea is as in steak, and it has not been explained. It may have been due to someone’s knowledge of the place called Paythorne on the Yorkshire-Lancashire boundary near Gisburn. Fulking is an Anglo-Saxon name in –ingas, like Hastings, originally a name for a group of people but applied to a place (rather like Sussex ‘the South Saxons’). At Fulking, they were people associated with a man named Folc or Folca whose name meant ‘folk, people’, who is unknown to history. This name is not recorded by itself, but it occurs as the first element of names like Folcbeorht and Folcwine, and in Norman names like Fulk(e) which spring from the continental relative of the same element. In Hastings, the –s of –ingas has been retained, but in Fulking it has disappeared, and that is in fact what usually happens. Historians used to talk about the men whose names appear in place-names like this as tribal leaders or founding fathers of families, but we actually have no idea what relation the person bore to the group: father, godfather, hereditary or chosen leader on the basis of military or agricultural prowess, entrepreneur, slave-owner, or whatever: hence the vague “associated with”. Perching is a very difficult name whose origin is not known for certain. It seems to be an –ingas name like Fulking, but there is no known Anglo-Saxon personal name to suit the first part. If one were really clutching at straws, one might see a survival of the Roman name Poricus seen in that of the statesman Marcus Poricus Cato and members of his clan, which would reach the required form through known sound-changes in British Celtic and Old English. It may be an unrecorded Old English *perec (pronounced “PERRetch”) which could be an ancient English borrowing of Latin parochia ‘parish’, though there is no obvious reason for that. It might represent a variant *perric of the word pearroc, the source of park and paddock (and possibly itself derived from parochia), though what ‘people of the paddock’ might imply is equally obscure. It might not be an –ingas name at all, but a plural of a derivative of this word, *perricingas ‘the railed or fenced areas’. In this respect, it is interesting but probably misleading that in medieval times land was held of Perching manor for the service of fencing Earl Warenne’s deerpark in Ditchling. Truleigh was until recently pronounced “true lie”, with the stress on the second syllable, a curiosity of Sussex, mainly Wealden, names containing Old English lēah ‘wood, clearing’ which dates back some 500 years. It has been claimed that the first element is trēo(w) ‘tree’, the whole meaning ‘clearing marked by a tree or trees left standing’. That is not linguistically impossible, but it seems much more likely to contain Old English trēow or trūwa, meaning ‘truce’, with reference to unknown historical events. Its position less than a mile from the boundary separating historic West and East Sussex (Bramber and Lewes rapes) may be relevant. Edburton is the farm or village of a woman named Ēadburg ‘wealth fortress’, whose identity is unknown. She is more likely to have been an overlord than an actual farming tenant or free peasant, but we cannot be sure. There were many prominent Anglo-Saxon women with this name. Since at least the 13th century the village was known as Abberton, and this pronunciation is retained in the name of Aburton Farm, the manor farmhouse. Names formed with Old English -ingtūn are usually interpreted as ‘farm or village associated with a person called X’, and they are believed to date from a later period in settlement history than the –ingas type. X in this case is generally thought to be Totta, not a recorded Anglo-Saxon male name but occurring in enough Sussex place-names to make it a reasonable supposition. On the other hand, Tottington is sited just under a spur of the South Downs from which there is a spectacularly wide view over the Weald, Bramber and the opening of the Adur valley, which leads to the suspicion, supported by early spellings, that it is really Tōting-tūn ‘farm at the toot or lookout point’. In 1855 there were still alternate spellings of local names. This entry was posted in Beeding & Bramber, Edburton, Farming, Local History, Truleigh Hill. Bookmark the permalink.